We look back on an eventful week. We took part in a SPIEGEL discussion on crowdfunding at the Technical University in Berlin, were guests at the BMW brand store in Brussels and had the honor of meeting many Companists at the weekend. We will shortly be taking exclusive Panono pictures with basketball Bundesliga team ALBA Berlin and the Adlon Berlin. On 19 November 2014, Panono was invited to the BMW brand store in Brussels. BMW had invited guests to talk about the future of cameras and photography. Three speakers, including Björn Bollensdorff, presented their technical innovations in camera systems and photography. Aside from Björn, the other speakers were Michael Poliza, internationally renowned animal and nature photography pioneer, as well as Philipp Hoffmann, a passionate BMW engineer who gave a live demonstration of the diversity of the spectacular BMW Driving Assistance Systems high end camera systems. Last Saturday, 22.11.14, we invited our Companists and interested parties (future Companists?) to a Meet & Greet in Berlin Pfefferberg. 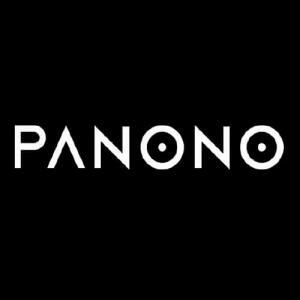 We outlined the origins of the Panono camera, gave a demonstration (we also showed how the camera works in combination with the Oculus Rift), raffled off a Panono camera and took a group panorama picture. Thank you to everyone who showed up - we had a great time with all of you!